Chad Ohcocinco playing for Bill Belichick. A prominent college football coach fired from a team which will remain unnamed (but it rhymes with "car deals"). Jerry Richardson spending money to get quality players in Charlotte. All of this crazy football talk made me think... since I love football season, and more importantly, football food, I should start working on a couple of new dishes for the Fall. I'd like to think of it as training camp in my kitchen! BBQ chicken wings, ribs, and chili are go-to entrees at my house starting in September. Why not a football-ish pasta? Here we go... Preheat your oven to 375. Cook the pasta according to the directions. 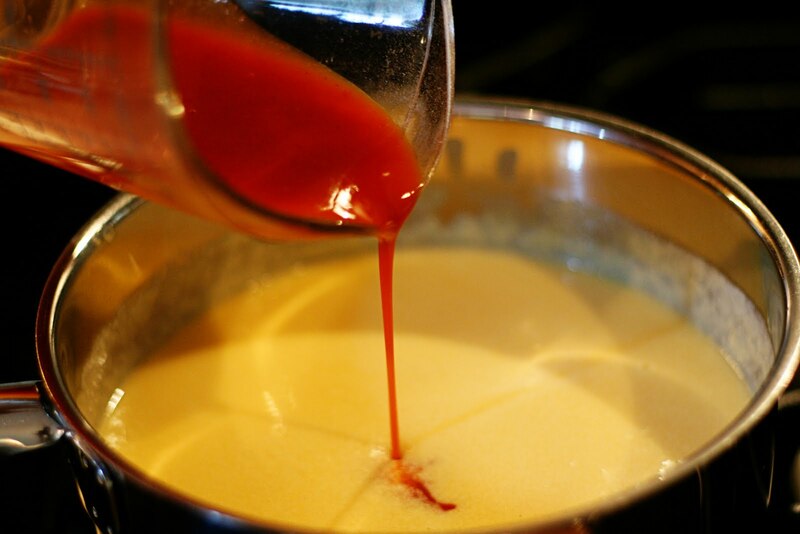 While the pasta is cooking, melt the butter in a large saucepan. Add the flour and stir until it starts to brown. Add the milk. Whisk until the milk starts to thicken. 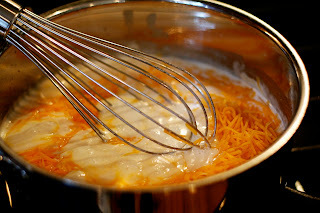 Add the cheeses and stir until smooth. Add the buffalo sauce and stir to combine. It smells like football already! Drain the pasta and return it to the pot. Add the chicken and sauce mixture. Stir to combine. Add the pasta mixture to a greased 9x13 baking dish and sprinkle with panko bread crumbs. Don't substitute regular bread crumbs for the panko. Trust me, they add a great texture. Bake for approximately 25 min or until bubbly. 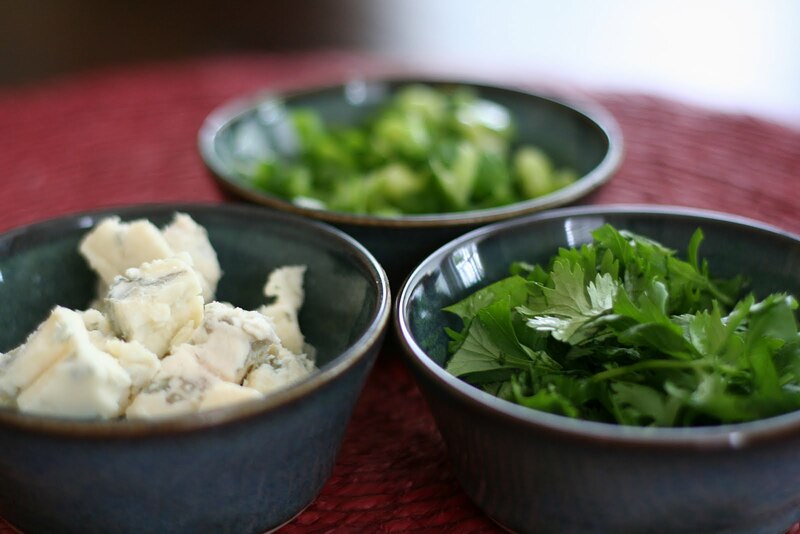 Serve with crumbled gorgonzola, green onions, and cilantro. Heaven on a plate. Preheat oven to 375. Cook pasta according to directions. While pasta is cooking, melt butter in a large saucepan. Add flour and stir until it starts to brown. Add milk. Whisk until milk starts to thicken. 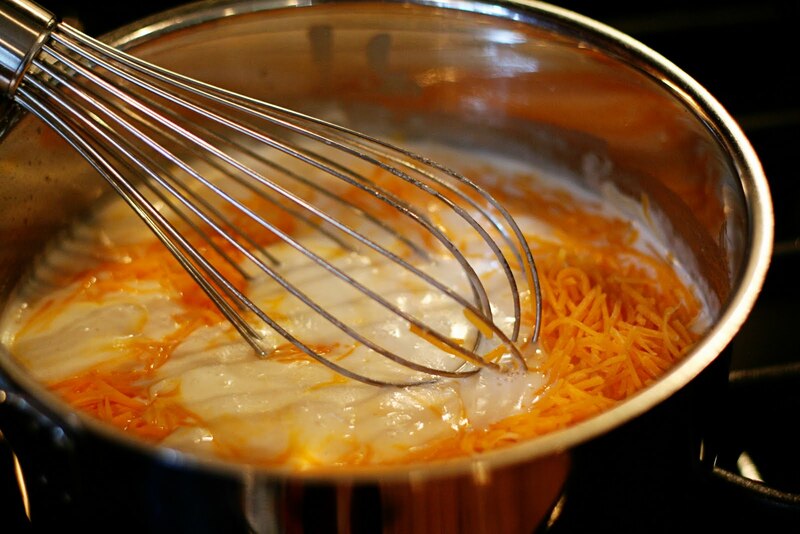 Add cheeses and stir until smooth. Add buffalo sauce and stir to combine. Drain pasta and return it to the pot. Add chicken and sauce mixture. Stir to combine. Add pasta mixture to a greased 9x13 baking dish and sprinkle with panko bread crumbs. Bake for approximately 25 min or until bubbly. Serve with crumbled gorgonzola, green onions, and cilantro. Yum, Mary! I can't wait to try this! 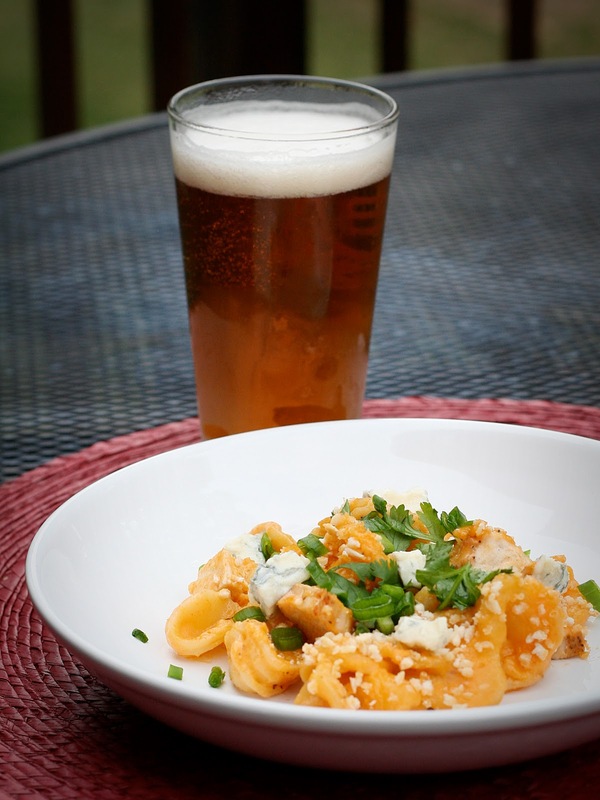 Heidi and I were just talking about trying new recipes this football season--this recipe is definitely making the list! Good luck with training camp! This looks amazing! 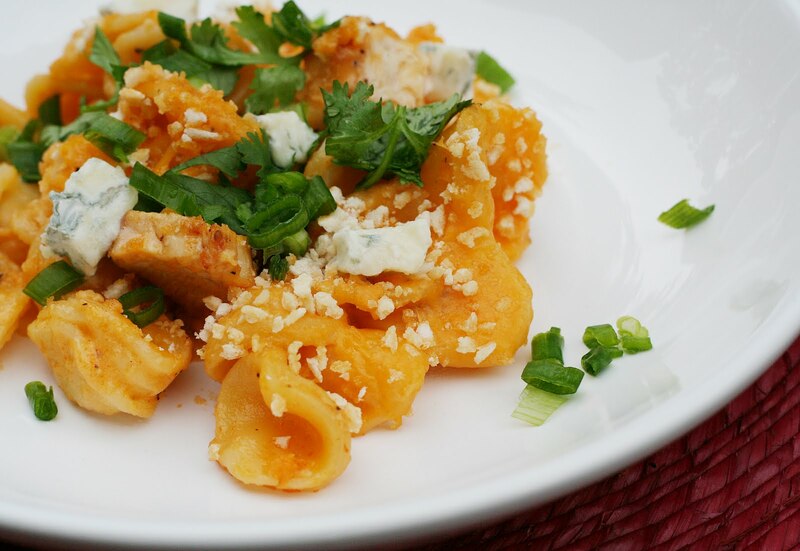 I made Buffalo Chicken Sandwiches last night, but funnily enough had been leaning toward pasta - I wish I was better at keeping up with my Google Reader otherwise I would have made your recipe instead!